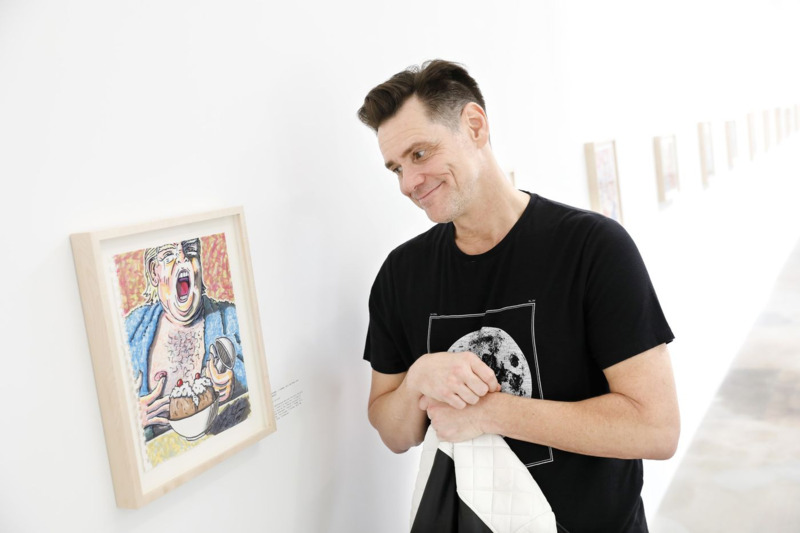 Recently, the L.A. Times journalist Jessica Gelt talked to Jim Carrey at the Maccarone Gallery. Jim was wearing "black jeans, black T-shirt, black boots, close-cropped hair, searing brown eyes, a tension in his jaw that draws his lips tight across his white teeth." "I'm everywhere," he explains. "But my avatar is sitting here talking with you." Jim beginnings to say. "I will not accept a liar as my leader. There is only one true enemy of the state and that's the president." Jim seemed a "angry man. Angry, yes, but there's more to him. He's bewildered - hurt even. He says he doesn't recognize the climate of hate and misanthropy that has come to define this historically divisive American moment." He has learned to swim in a "river of grief," he says. About his cartoons Jim is adamant: "This is a piercing scream. I want people to vote. I feel like if we don't regain some sort of balance in the midterms, then we're really lost." Every day, he picks up his notebook to draw until he's comfortable to posted on his twitter feed. "Carrey's only responsibility in this scenario, he says, is to the truth. And truth, he adds, is not subjective or ephemeral. It is as hard and unmovable as stone. It is not to be trifled with. And it will redeem us. The irony is not lost on Carrey that both he and Trump use Twitter to spread their respective messages: "He also eats food, just like me," Carrey says, shrugging off any deeper connection." 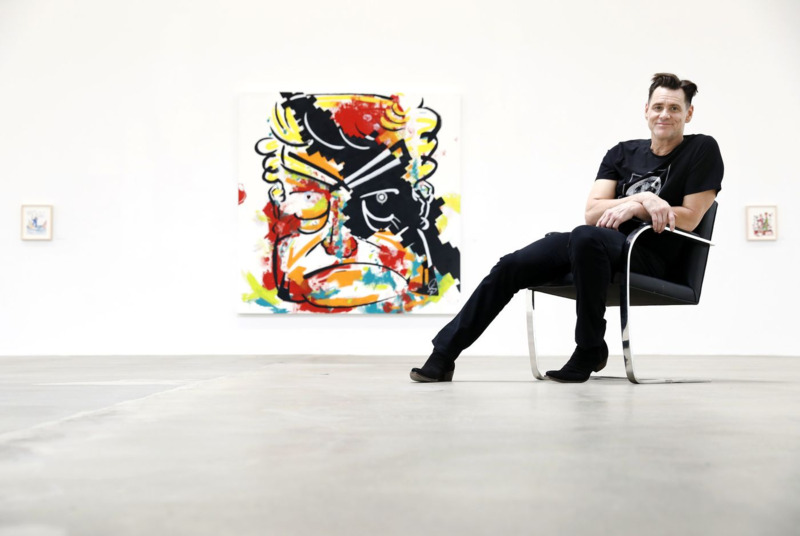 The message of Jim art is what drew Maccarone gallery owner Michele Maccarone to want to make the exhibition: "I'm a product of the '90s, when art was very political. I'm not sure where that has gone." For her, Carrey's art appears "urgent, unfiltered and authentic." "He's a self-taught artist and there's so much value in that." A giant bouquet of flowers in a square white vase sits beside her as she talks. A card labelled, "To Michele," is attached to the arrangement. It's her birthday and Carrey has remembered. "He is overly generous in every way," Maccarone writes said. It conjures another statement Carrey made earlier that day. When asked if he has always been political, he responds, "I've always been human."